Manuel Muzzu M² – New Stories, Old Hands – Album Review | The Ark of Music – The best music in the world…you never knew existed. 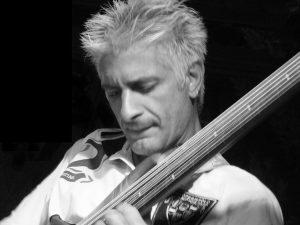 The skill of the Italian master bass-player known as, Manuel Muzzu M², may impress, amaze, and leave you wanting more… and all before you learn of the handicap in his right hand—which prevents movement in all but his thumb and index finger. A graduate of both the Musicians Institute in Los Angeles, California; as well as UM Rome, Muzzu circumvented his handicap by creating his own technique. In 2012, that undeterred and creative spirit lead to the release of his first album, The Right Hands Miracle; which in turn served as a prelude to his latest Jazz project, the lively and adventurous, New Stories–Old Hands. Opening with the rambunctious, Growling, the old-school synth and electric licks immediately made me think of the Beverly Hills Cop 2 soundtrack (one of my favorites as a kid). But there’s more. I’ve been bragging about Muzzu’s bass skills, so perk up at the 2:34 mark and enjoy the ride. I mean, good lord, I didn’t know you could do that on a bass—for real. The jazz-lounge-effect is serious on, 0,30, which offers a host of synth and saxophone to create a smooth 5:11 of jazz-infused easy-listening. As electric notes carry the melody, I’m loving the gentle acoustic finger-picking panned to the right; creating a soft, island-style melody on, From A To J. A wonderful electric solo and a touch of brass finish things off nicely. We take in a funky Salsa vibe as electric guitar meets brass once again in the Latin influenced, Gransalsa. Like slow-moving sonic molasses, bass and sax dominate in the wonderfully lazy, 4U. Wind down, folks. Stolen Notes opens with bright piano chords quickly joined by airy percussion and a few spacey synth notes. This here is what we like to call delicious, movie-montage jazz. Water flows and birds sing in the background, as strings provide ambient backup for another light and beautiful melody from the capable hands of M² in, Gerdis World. This could be called New-Age. Concluding with the aptly titled, At The End, I love how the percussion was recorded/produced, light and in the distance; its nonchalance sets the mood for the slow-strolling melody, which feels like a cool walk through Central Park at dusk. Lush and bold. Light and energetic. Inherently positive. While listening to Manuel Muzzu’s second studio album, New Stories–Old Hands, I kept expecting—unfairly—to run across a track that didn’t appeal to me, because, Jazz can be a tricky animal. It seems you either love it—or you don’t. I was gladly disappointed in this expectation, as all ten tracks provide their own unique and adventurous landscape of sounds; each one underpinned with absolutely lovely jazz compositions—though still not defined by them. Muzzu’s ability to compose, as well as to bravely hand-off responsibilities to other talented players, is impressive, as he’s created a collection of songs that can convince non-Jazz-lovers to become believers. And what greater feat could any artist accomplish? I know of none. 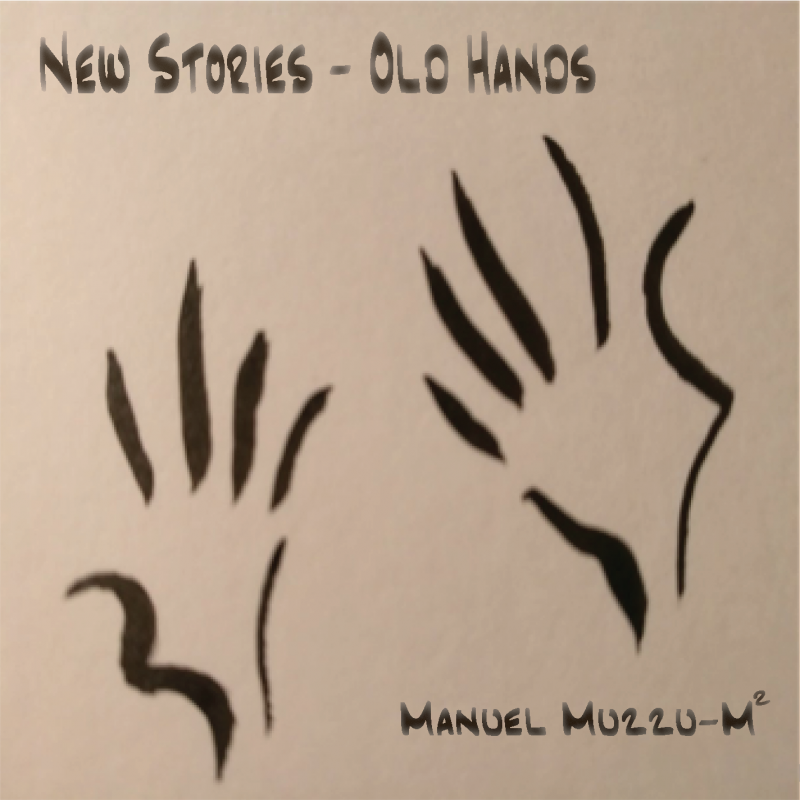 BELOW: Listen to music from Manuel Muzzu’s album, New Stories–Old Hands, and connect with his website and social media platforms. Please support Manuel Muzzu by visiting him online, and playing, downloading, and/or purchasing his music, or attending a live show! And, as always, thank you for supporting real music!